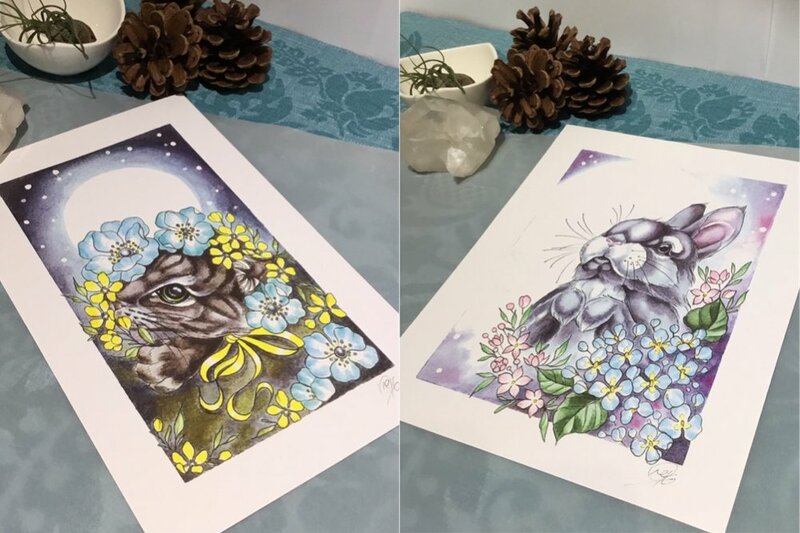 While all the designs we create at Folklore Tattoo Studio are unique - we never tattoo the same design twice - we get a lot of interest from people wanting one of our designs as a print or gift to give to somebody else. Because of this, we've produced some Folklore merchandise, which you see below. These can be bought from our online store, and are strictly limited in number - when they're gone, they're gone! For peace of mind, we ship all items first class via Royal Mail, with a signature required. 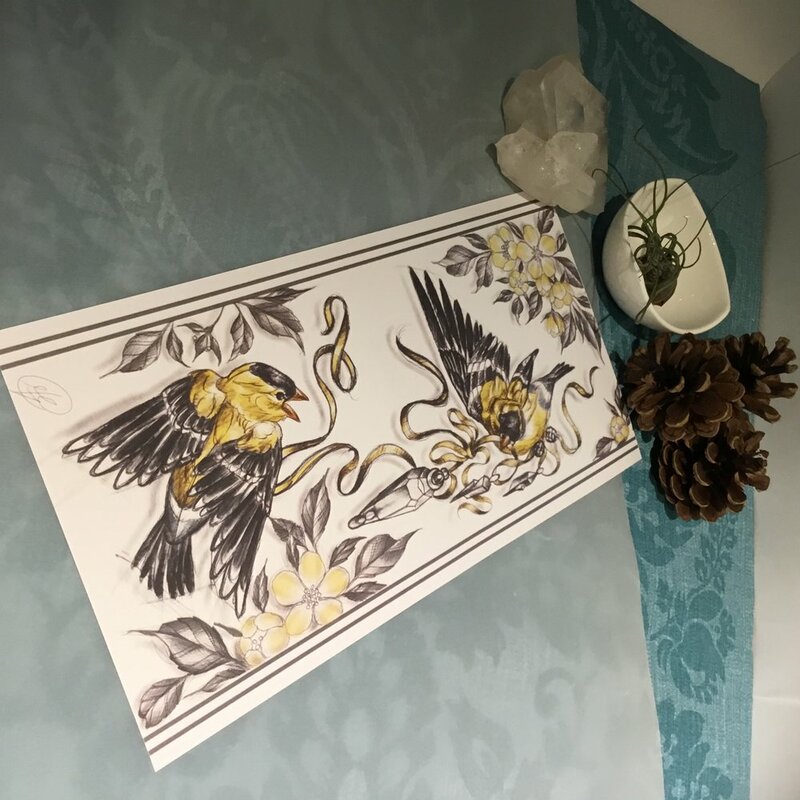 Beautiful little animal prints from our botanical specialist Marie. 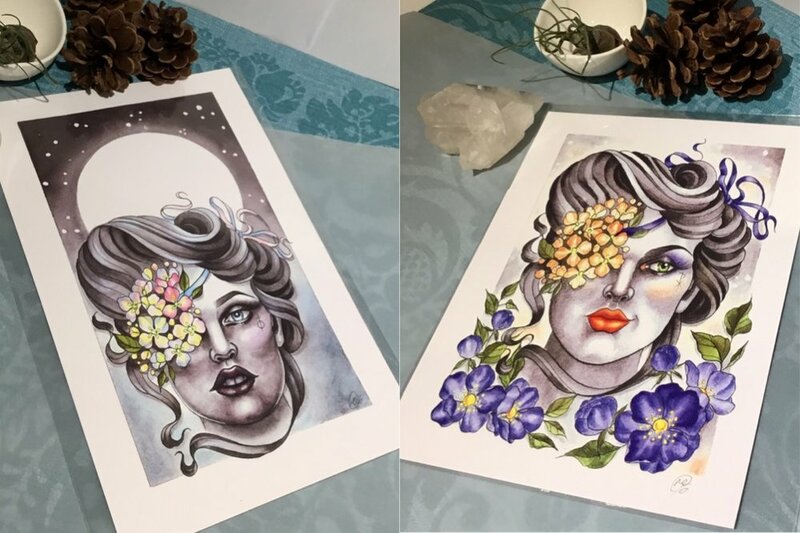 Pirate Ladies by our botanical specialist Marie. 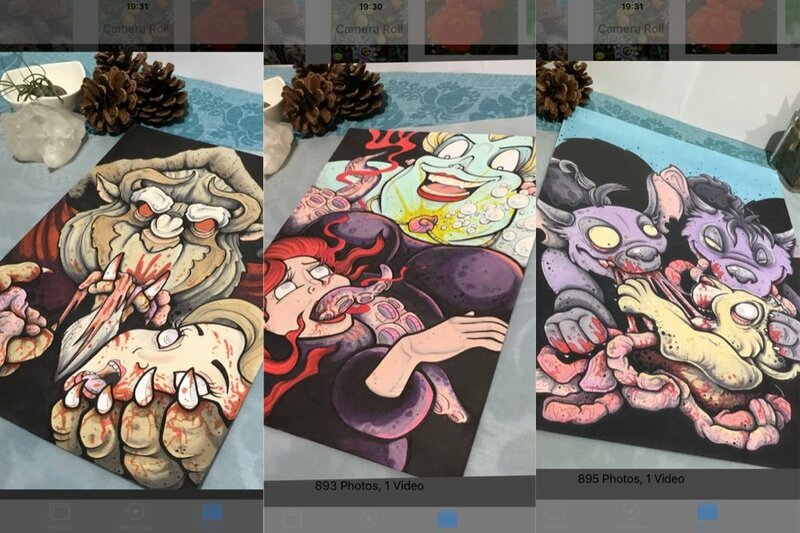 Our Master of Horror, Adam McDermott, carved up these delightful images, pick your favourite one or collect the whole set! The Battle of the Goldfinches beautifully captured by our botanical specialist Marie. 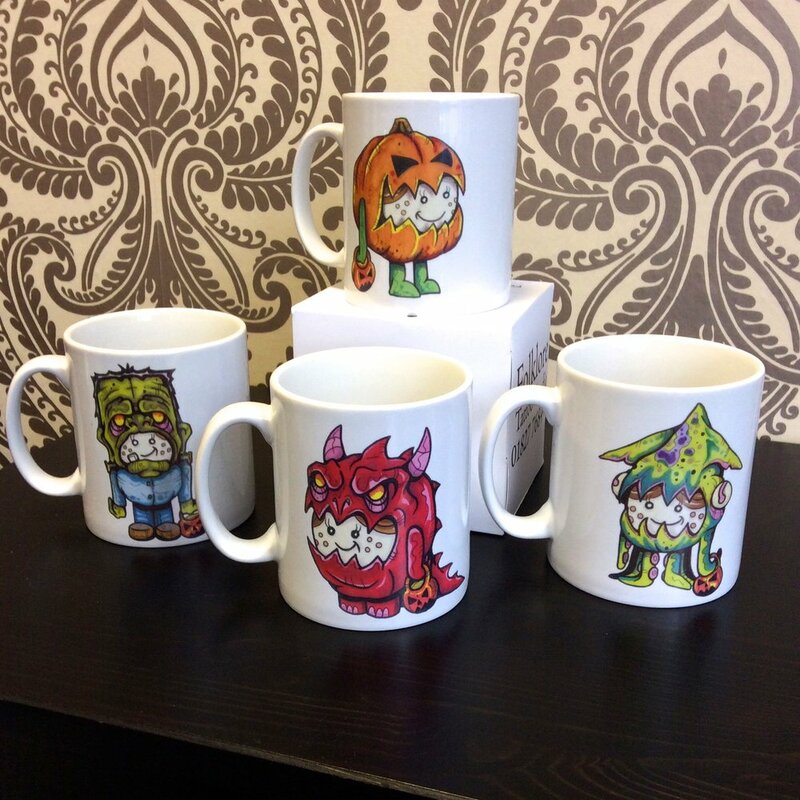 Quality, dishwasher-safe mugs, with 4 mini monster designs to choose from by our own resident artist Adam McDermott. Perfect for gift ideas for yourself and loved ones!